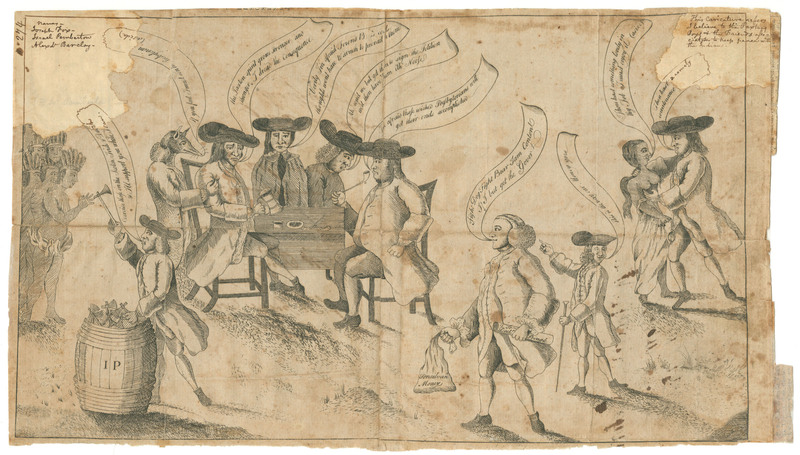 The 1764 Pennsylvania election debate that followed the Conestoga Massacres and Paxton Boys’ march on Philadelphia featured tropes born of past political and religious struggles within the British Atlantic world during the seventeenth century. 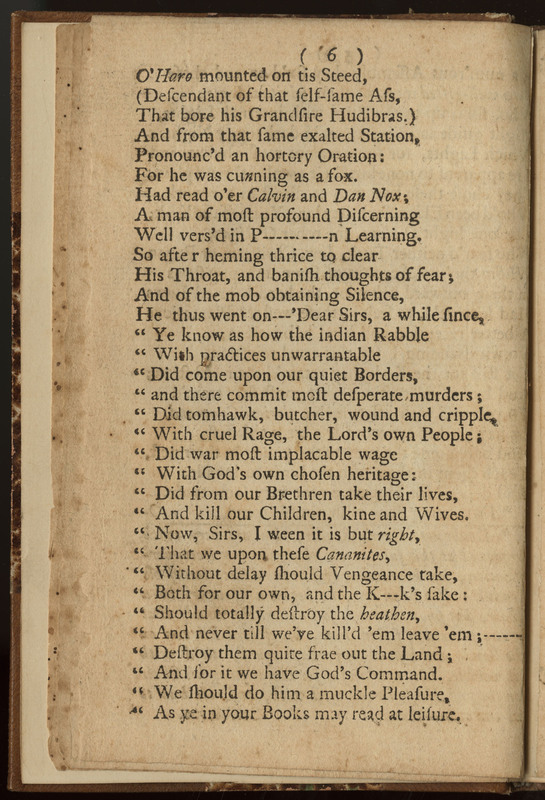 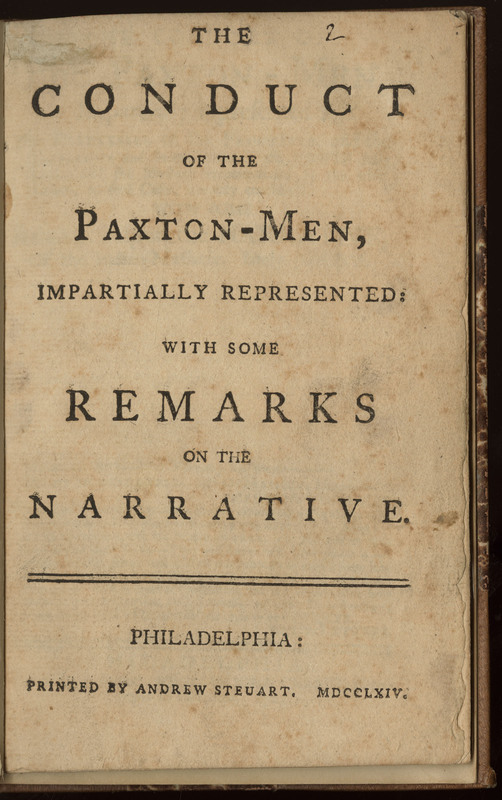 The chaos that characterized Britain and Ireland in 1640s and the 1680s served as a warning to those who feared that the Paxton March represented a threat to the social order in Pennsylvania. 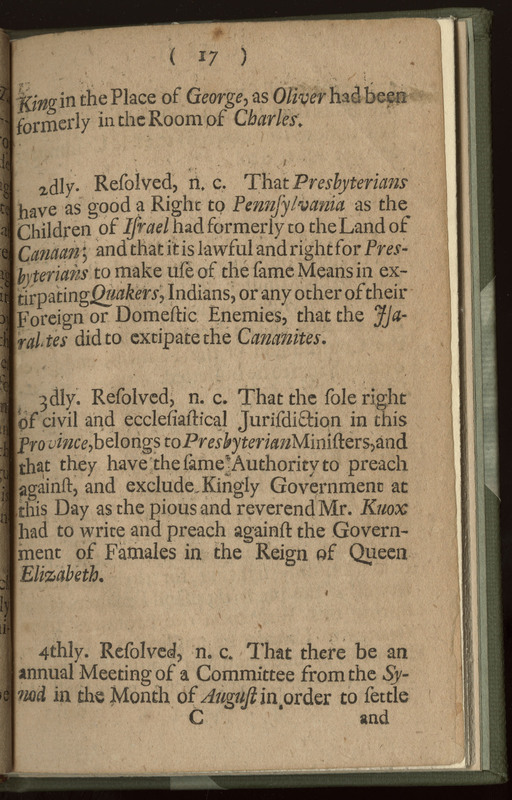 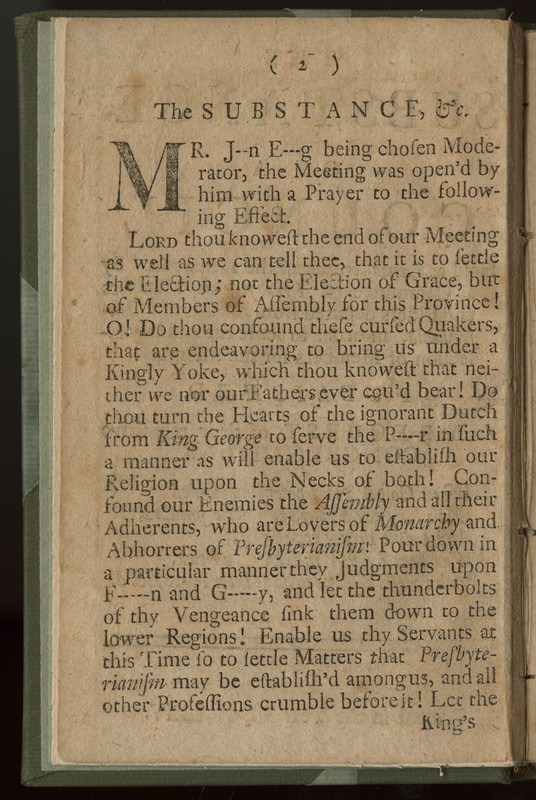 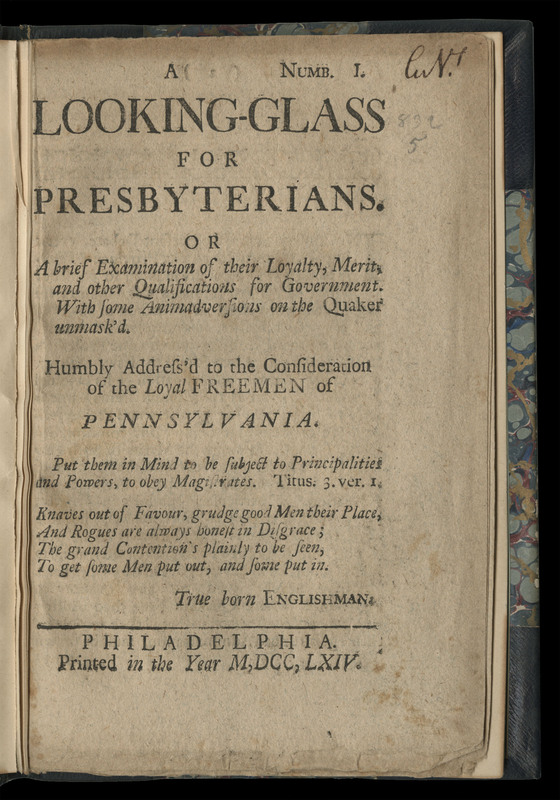 Anti-Presbyterian rhetoric was a cornerstone of the Assembly Party’s strategy to attack and discredit their pro-Paxton and Proprietary opponents during the pamphlet war of 1764. 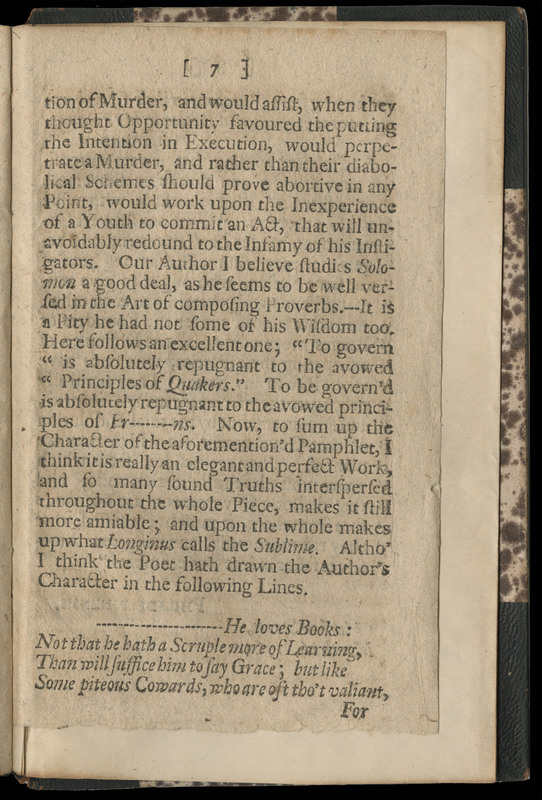 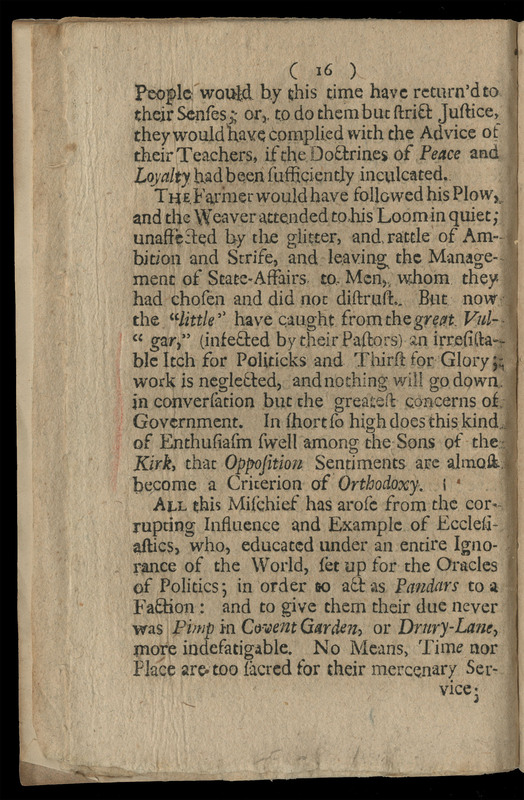 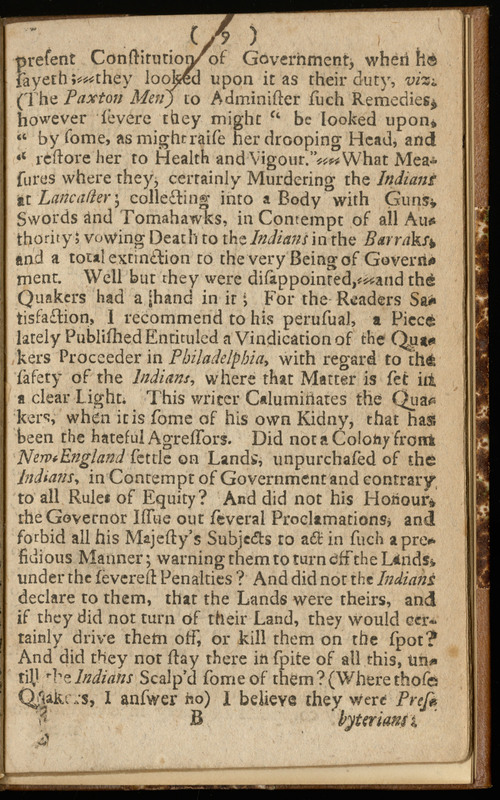 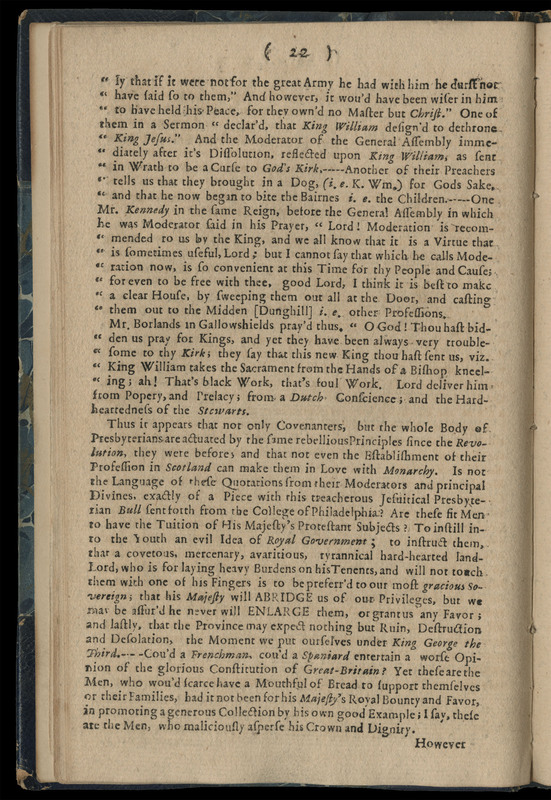 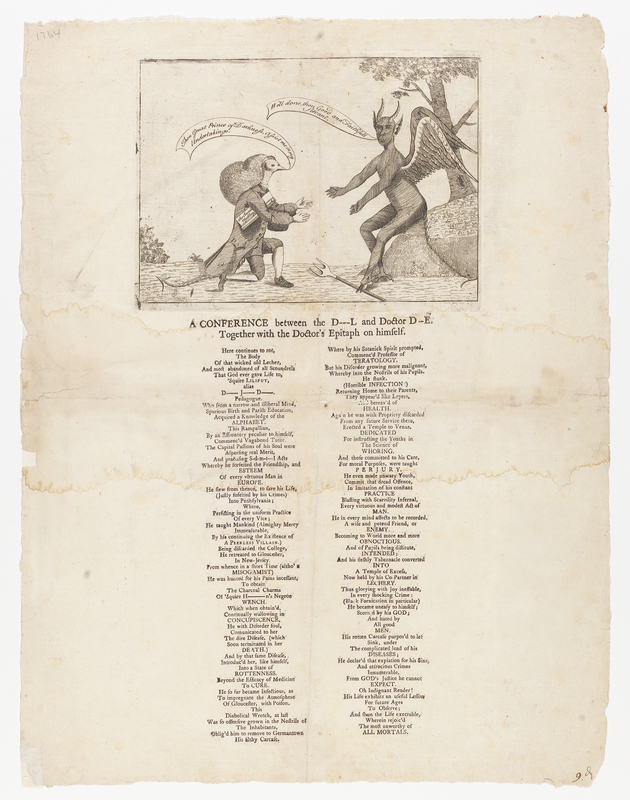 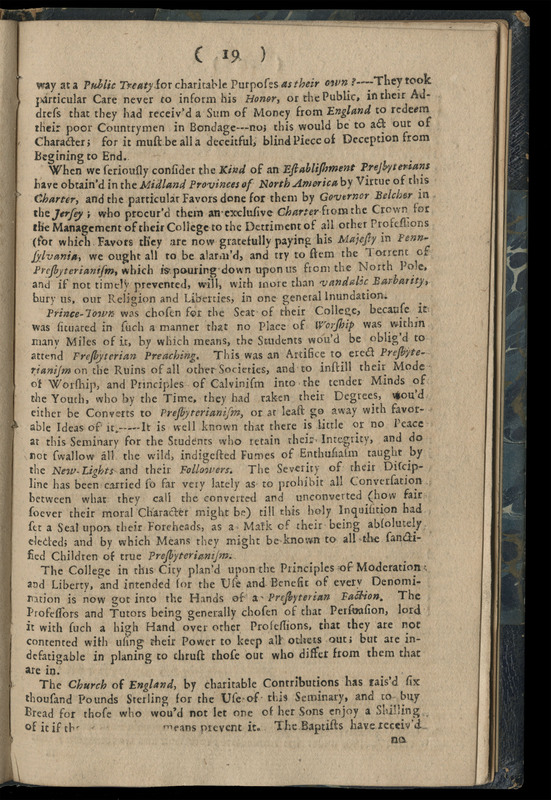 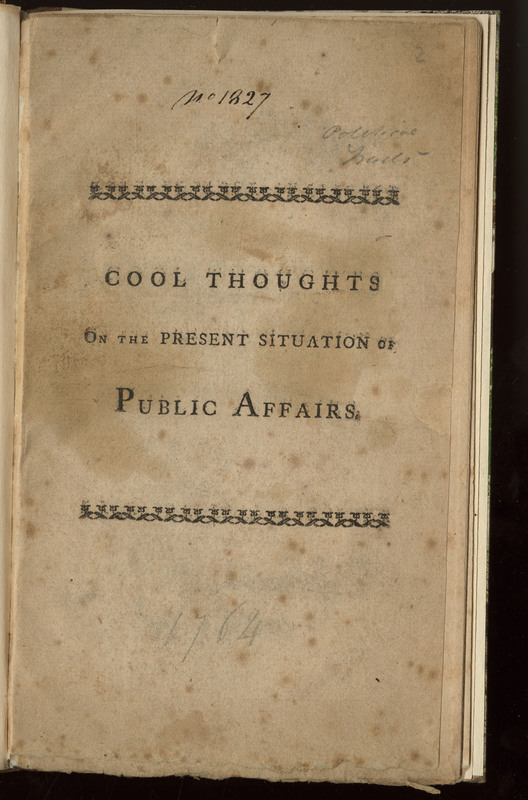 These pamphleteers re-worked aspects of the British and Irish debates on toleration to suit the fractured and anxious political landscape of the middle colonies in 1764. 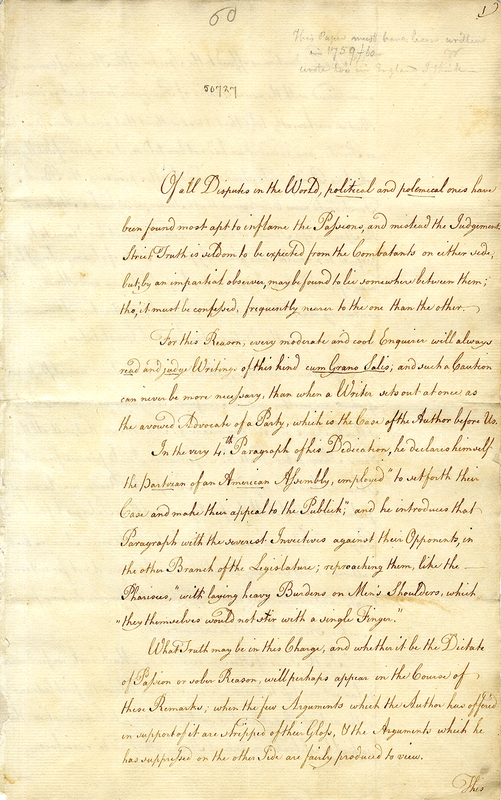 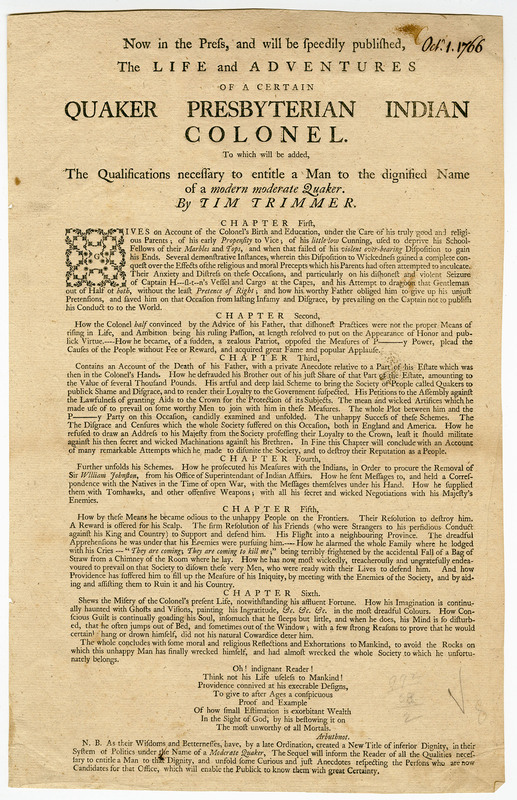 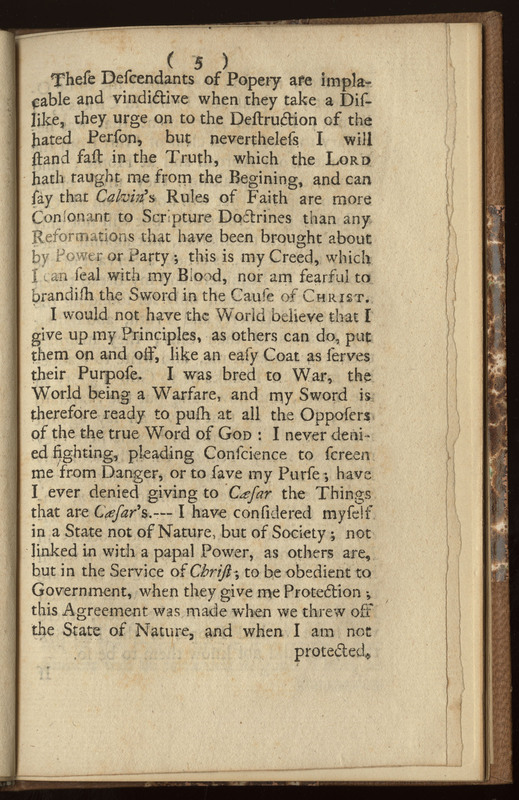 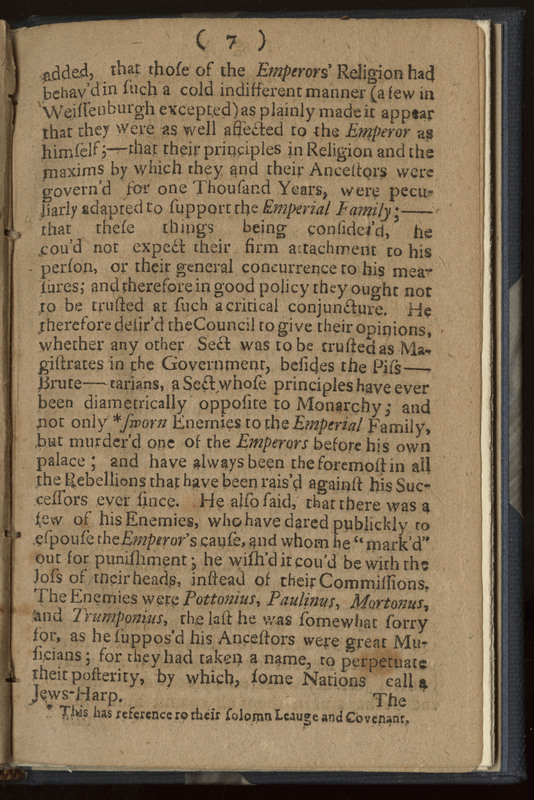 In so doing, they crafted an unique and startlingly nativist rhetoric to support their political aims, including Benjamin Franklin’s attempts to secure a Royal Charter.